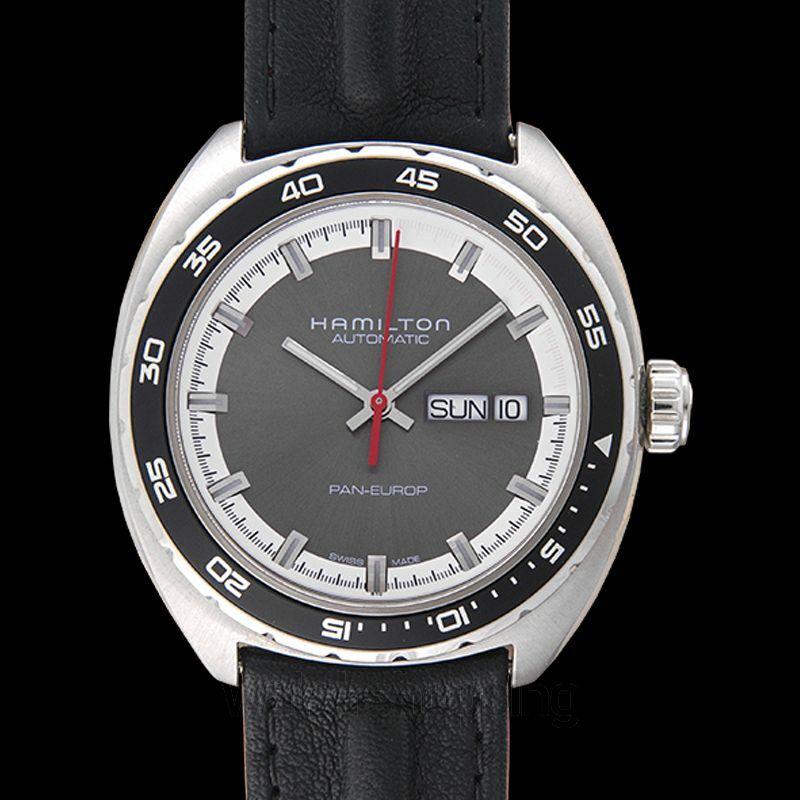 This Hamilton features a 42 mm stainless steel case with a skeleton back. 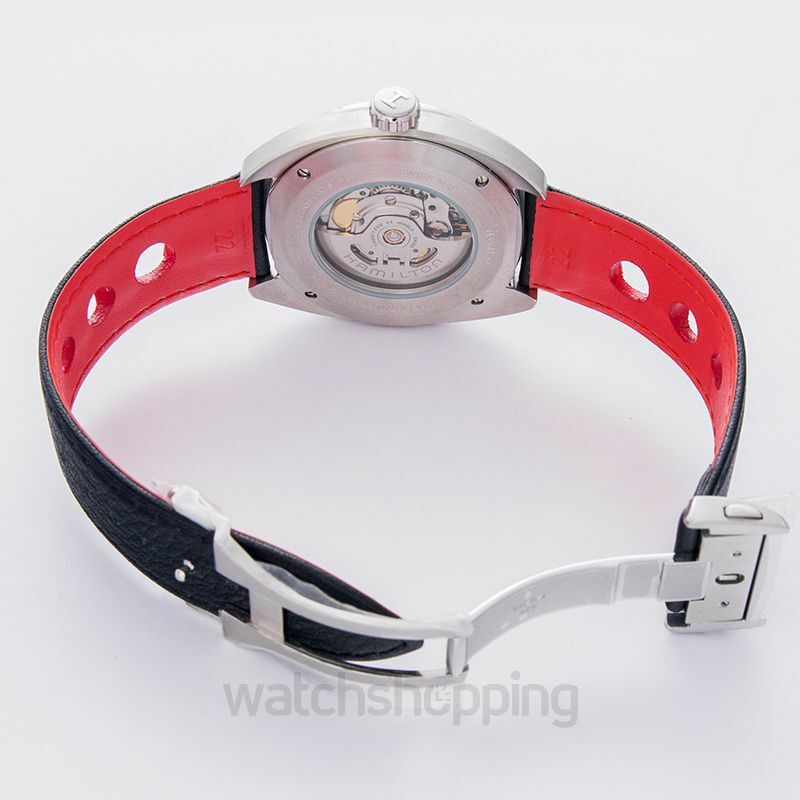 The strap is a black leather number with a red back and has a deployment clasp. The watch includes a fixed stainless steel bezel with a black top ring. 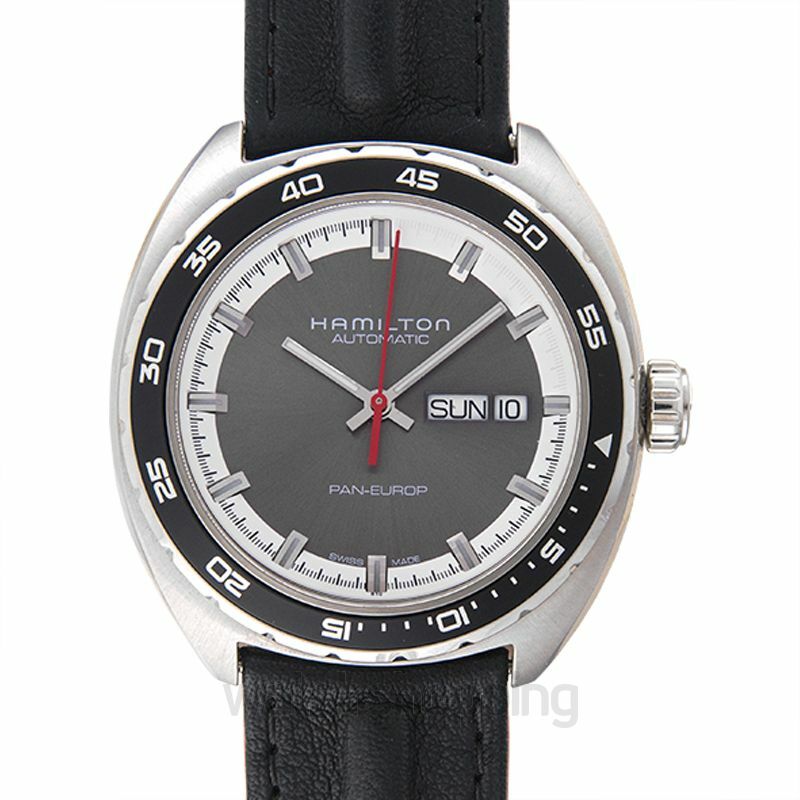 The dial is grey with silver toned luminous hands. 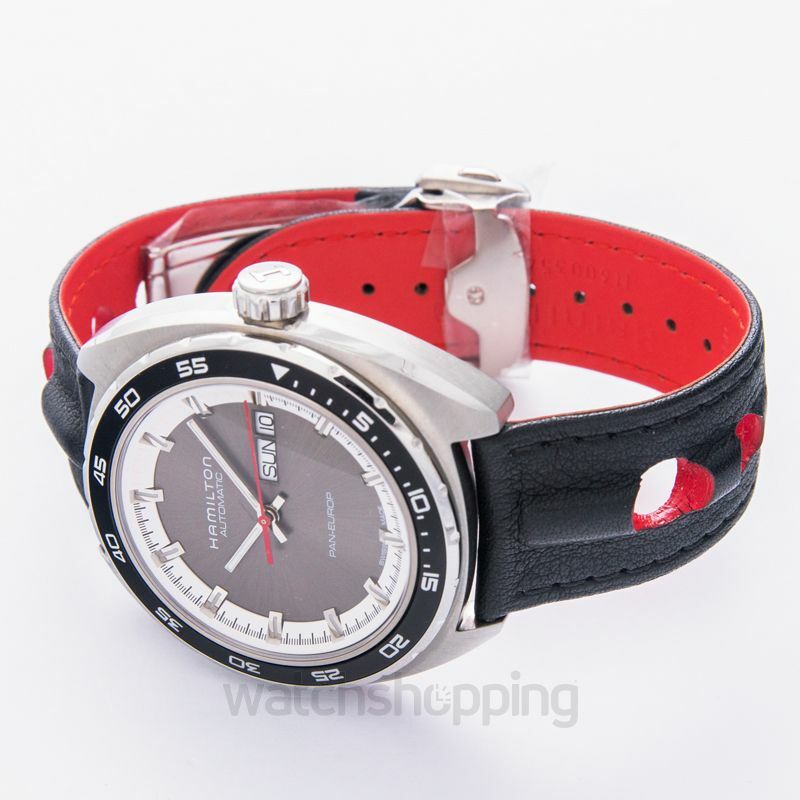 There is a power reserve of 80 hours and is water resistant at 50 m, i.e., 165 ft.